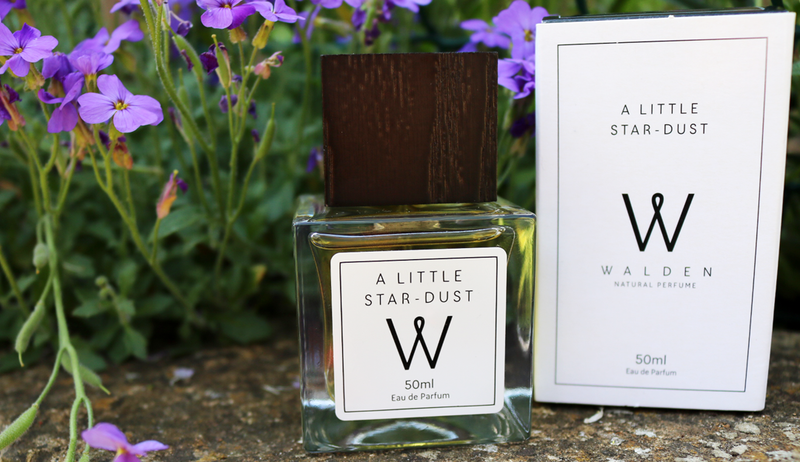 Walden Natural Perfumes are possibly one of my favourite beauty launches of the year so far, and these two scents, in particular, have become my go-to fragrances for Spring and Summer. I love it when a new brand emerges and gets everything right straight off the mark. From the name (this brand is named after Henry David Thoreau's classic book, 'Walden'), to the beautifully chic packaging with dark wooden tops, and the delightful names of the perfumes themselves (which are phrases that Thoreau himself mentioned in the book), Walden have done an excellent job here to appeal to both green beauty fans and fine fragrance lovers alike. These new 100% natural Eau de Parfums use only the finest natural absolutes and essential oils, so they're naturally free from ingredients such as parabens, artificial fragrances and mineral oils that you can often find in mainstream perfumes. They're handmade in small batches and have a really luxurious feel about them. The Walden perfume range currently has five fragrances within its collection, and I've had the great pleasure of experiencing all of the scents for LoveLula, where the brand is exclusively stocked. 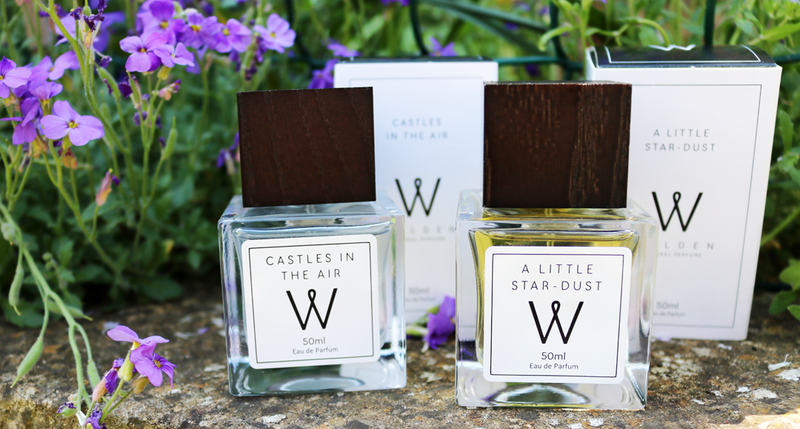 Below are my two favourite Walden Natural Perfumes; Castles In The Air and A Little Star Dust, but trust me when I say that they are all incredible. Both of these perfumes lasted longer on me that I imagined they would, as I've tried a lot of natural fragrances that seem to disappear after an hour, so if you're in the market for a new perfume, these are well worth a try. 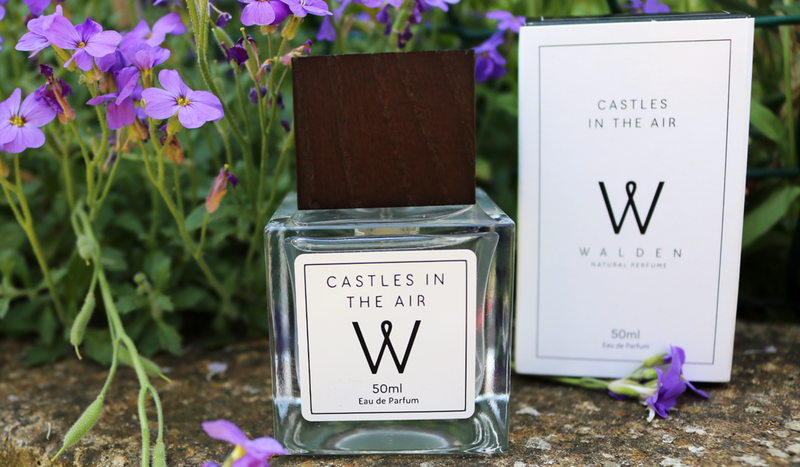 Castles In The Air is described as a 'fresh, intoxicating blend of Citrus and with a hint of Tropical Flowers and Lavender' which sums up this fragrance perfectly. A quick spritz on the wrists releases an immediate fresh and Spring-like scent with key notes of Bergamot, Lemon, and Mandarin, on a calming base of Lavender and Rosemary. Castles In The Air has such a relaxing effect on my mind and helps to put me in a good mood for rest of the day which is probably why I love it so much! It's also completely different to anything that's currently in my perfume collection and it just smells divine. This is a fragrance that would work equally well for daywear as it would for something that you could use for an evening dinner out or a date night with your partner. It's a very strong and feminine scent with a heady aroma of Ylang Ylang and Jasmine at first, but it soon settles down into a more exotic and sophisticated fragrance overall. What kind of fragrances do you like to wear? I'm so interested in these perfumes! Do you know how could we get them outside of UK, since Lovelula is not shipping perfumes overseas?